Traffic Violation Attorney in Cornwall, New York Where is Your Case Heard? Cornwall is a town located along the western shore of the Hudson River in Orange County, NY. New York Route 218 and US Route 9W run through the Town of Cornwall. If you were charged with a moving violation on these roads, or on any other local road, speak with a knowledgeable traffic attorney before speaking with the prosecutor. 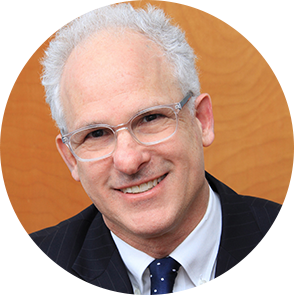 I am Jonathan Katz and I’ve been successfully representing drivers charged with traffic violations in Orange County, NY for more than 36 years. Some traffic violations carry severe penalties, including heavy fines, driver’s license suspension and points on your license. Accrue too many points and you may end up losing your driver’s license for an extended period of time. Moreover, a traffic conviction could cause your insurance company to label you “high risk” and raise your insurance premiums. Although local prosecutors and police officers are often willing to work out a plea deal in traffic cases, they are more likely to negotiate with a qualified attorney. As your attorney, you can rely on me to persuasively argue your case and press the prosecutor to reduce your charge to a lesser offense, saving you points on your license, reduce or even eliminate any potential fines and preserve your driving privileges. Depending on the circumstances, I may even be able to get the prosecutor or police officer to dismiss your traffic ticket. Do not automatically plead guilty to a traffic ticket in Cornwall, NY. Speak with an experienced New York traffic attorney. What Happens in Cornwall Town Traffic Court? Pre-Trial Negotiations: After our first conversation, I will get to work investigating the circumstances of your traffic ticket. Prior to trial, I will speak with the police officer who ticketed you and/or prosecutor at Cornwall Town Traffic Court in an attempt to negotiate your charges down. Traffic cases typically involve the police officer, the prosecutor and the judge. If major mistakes were made in your case (e.g. the police officer committed a procedural error or improperly wrote up the official report), or if there are any factual discrepancies about what happened when you were ticketed, I will seek to get the charges dismissed. I may also be able to negotiate a reduced charge, fewer points on your driver’s license or merging of multiple offenses into a single traffic ticket. Taking the Case to Trial: I always prepare every case I handle as though it will go to trial. If we cannot reach a plea agreement in your case, I will stand up for you in Cornwall Traffic Court and fight your ticket. The court will notify the NY Department of Motor Vehicles (DMV) of your conviction. The DMV will then change your driving record to account for the conviction. If you are an out-of-state driver, the DMV will send notice of your conviction to your home state. You will have to pay fines, penalties and other court costs imposed by the Cornwall Traffic Court judge. I always seek to get my clients’ traffic charges dismissed or, at the very least, reduced in order to minimize the potential fines. You may be subjected to higher insurance premiums after your insurance company gets notice of your traffic conviction. The court may suspend or revoke your driver’s license, depending on the type of traffic offense.